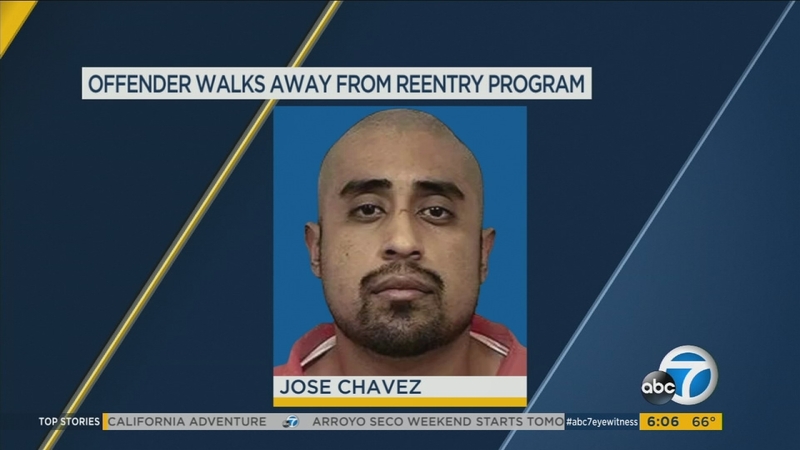 LONG BEACH, Calif. (KABC) -- An inmate who escaped from a reentry program in Long Beach was back in custody Saturday morning. Authorities said 31-year-old Jose Chavez was on an approved day pass Thursday, when he removed his electronic monitoring device. His last known location had been at Obregon Park in East Los Angeles. Chavez was serving time for car theft. Authorities did not provide any details on how he was captured.